This is a clever little book by a seventeen-year old girl, living in New York City, and describing her years at school. 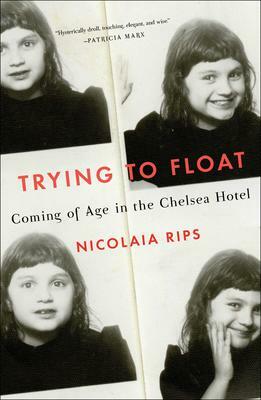 Nicolaia Rips is the only child of bohemian parents, who live in the renowned Chelsea Hotel. Her father, once a lawyer, is now writing and her mother, a former model, is painting. They have very little idea of what their daughter is doing at school. Luckily it doesn’t seem to matter much, because she has made dear friends with some of the hotel occupants. It’s just as well, because the girls at school leave her out of their cliques, and the boys ignore her. The book has a series of short chapters under The Fledgling Years, and Middle School, when Nicolaia tries giving parties and arranging other surprises – in order to make friends. They make very funny reading, but don’t do much for the author’s popularity. It is only when she gets into LaGuardia High School of Music & Art and Performing Arts in New York City, that her talent for vocal music, as well as writing, gain her an audience. This book is the result.